Grand Cherokee Overland, 4WD, Ivory 3-Coat, Black Leather, Watermark's Warranty Forever, Adaptive Cruise Control w/Stop, Advanced Brake Assist, Full Speed FWD Collision Warn Plus, Jeep Advanced Active Safety Group, Lane Departure Warning Plus, Navigation System, Parallel & Perp Park Assist w/Stop, Quick Order Package 2BP, Rain Sensitive Windshield Wipers. 2019 Jeep Grand Cherokee Overland The Watermark Warranty Forever is valid for as long as you own the vehicle & for an unlimited time, unlimited miles. How much is it? Zero. 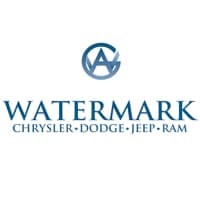 We're building "Customers for Life" so the Watermark Warranty Forever comes standard with every qualifying vehicle meeting the criteria and is included at no extra charge. There are no catches, hidden fees, or gimmicks. Our dealership provides this product as an added value to our Customers for doing business with us.